Series Two of Stewart Lee’s alternative stand-up comedy show. 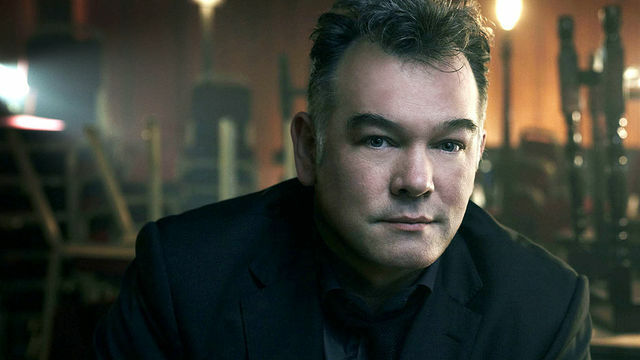 The idea of irreverent stand-up comedian Stewart Lee being given a BBC series was hard to believe several years ago and its return for a second curtain call is borderline unimaginable. Since the original series of Comedy Vehicle aired back in 2009, Lee has toured constantly, weathered a media-stoked cold war with the presenters of Top Gear and the election of a Tory government hell-bent on slashing funding for the BBC. Coupled with the radically diverse reaction to Comedy Vehicle’s initial run, it seems highly likely that the second series will also be the last. Possibly with this in mind, Lee has largely abandoned the relatively populist aspects of his previous series such as surrealist sketches and comparatively modern cultural references to produce a show which is more in line with his modus operandi as a deliberately esoteric, fiercely independent artist. Traditionally Lee has made a name for himself amongst his small, dedicated fan-base by writing and performing long-form shows which are socio-politically astute, bitingly cynical, tragi-comic and defiantly literate. Inspired by artists of all mediums, from poets to visual and conceptual artists to independent musicians, Lee’s work is the comedy of dramatic irony, bleak satire and occasional flourishes of absurdist humour. His live shows are full of semi-improvised tangents, attention-grabbing drops into absolute silence and abrupt vitriolic outbursts of convincing malice. Though commonly accused of outright snobbery, Lee’s onstage persona is more of an embittered, cantankerous and self-depreciating performer than an arbiter of cultural tastes. His perspective is defined by an abject hatred for the mundane – specifically the pandering hypocrisy of the mainstream media – and an unabashed love of all things which seek to challenge their audience in some way. Lee’s most artistically stimulating shows have been the longer, more substantial pieces which he has created over the past two decades. In particular the devastatingly spiteful 90s Comedian, a searing diatribe against the religious right-wing (who had attempted to charge the comedian for writing the critically acclaimed Jerry Springer: The Opera), and the surreal 41st Best Stand Up Ever, a rumination on the nature of stand-up comedy and political correctness . The former show was released as an audio disc which had no track breaks, a conscious decision made to force the listener to treat the piece as a whole rather than in digestible chunks. Indeed, it’s very difficult to fully understand or enjoy the work of Lee without enduring the whole duration of his performances, which often stray wildly from their ostensive thematic focus and only return to course at the conclusion, when all strands are pulled together to create one larger image. In a recent article written by Lee for The Financial Times, he discussed the relationship between content and form and noted that in the modern era all media is expected to be adaptable into other formats. Appropriately, Lee is utterly resistant to the notion of his work being taken out of context for any reason and vowed to create a show which is even slower and more arrhythmic than detractors claimed Comedy Vehicle was the first time around. For fans of Stewart Lee’s brilliant stand-up comedy this is good news indeed because this translates into some two hours of material collectively across the series. In place of the hit and miss sketches of the first series, there are occasional interviews with Lee conducted by producer Armando Iannucci, which are brief enough to not interrupt the flow of the comedy itself. The opening two episodes touch upon the critical backlash which trails Lee, who is often made a target by the fans of those he mercilessly lampoons on stage. Rather than compromise his vision in an attempt to make the show more approachable, Lee chooses to ramp up every aspect of his performance style which most infuriates his critics – in particular his usage of grinding repetition and long, overly-verbose punch-lines. 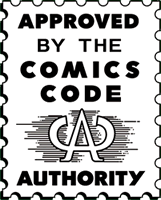 There are also several meta-references to the intentional absence of obvious, structured jokes, instead replaced by Lee’s trademark usage of semi-alliterative and purposefully resonant phrases which are often repeated several times over the course of each performance. Gone is the sense of smiling frivolity which Lee occasionally interjected into the first series, replaced with defiant and angry rejections of lazy comedic tropes, consumerism and creative stagnation. Although Lee cannot build into crescendos of the same magnitude as in his longer-form stage shows, he instead manages to focus his anger into smaller but no less intense bursts. Aside from the self-referential meta-humour, there are also surreal vignettes inspired by cult cinema and obscure news items. The deliberately hostile interviews with Iannucci are amusing and help provide mental bookends for some of the lengthier bits. Whilst there are still brief sketches relating to earlier material in the show at the end of each episode, they are still unneeded and unnecessary extras. Additionally some of the material will be relatively familiar to his loyal fan-base, though this is an acceptable concession for getting the show back on the air. If this does end up being Stewart lee’s televisual swan-song, it is a worthwhile, provocative and dignified exit filled with the sort of intelligent and imaginative humour which has all but left the screens of television here in the UK. A tour de force of refreshing and clever left-field comedy courtesy of one of the all time greats.